Hello SixPrizes! I hope all of you had a great Thanksgiving and got to spend plenty of time with your families over the holiday. Pokémon has been heading in the right direction over the last couple of months with different tournament structures, new cards coming out, and plenty of fresh decks available to play in what was otherwise a bland format. In regards to the holidays and feeling appreciative of all that we have, I’ve decided to start off my article with a list of things I’m thankful for in the game at the moment. While the obvious choices are being thankful for friends and family that play Pokémon, I’m going to stick with the Pokémon-specific items to focus on and discuss. With the addition of Phantom Forces and the new World Championship structure, there is definitely plenty to talk about. In addition to the great coverage on deck lists coming in the past month from players like Ray Cipoletti, Kyle Sabelhaus, and Jay Hornung, I will also try to sprinkle in some of my favorite decks at the moment with the lists that I’m currently testing with. The format is very wide open, so there are certainly many fun decks to play for tournaments. Without further ado, let’s get into the article! With so much news about Pokémon coming around in the past couple of months, there is certainly plenty to be thankful for. Here are some of the main things that I’m grateful for right now, along with some reasoning as to why they are important to me. Remember, these are all just my personal opinions on the topics and others may not feel as strongly as I do about them. This is simply meant to be a fun way of bringing about discussion! If you haven’t heard any of the recent news about the tournament structures, I encourage you to read Dylan Bryan’s eloquent article explaining all the changes. To sum up the revisions, only 300 Championship Points are needed to gain entry into the Pokémon World Championships. However, entry into the World Championships now only means qualifying for day 1 of a three-day event. A record of 7-2 or 6-0-3 is needed on the first day to move onto day 2, which will also host the best players from each area of the world that have automatically qualified for the second day of competition. This tournament structure is new and exciting, while also giving extra room for many players to qualify for the World Championships this year. If your dream has been to make it into the most prestigious tournament of the year for Pokémon, now is definitely the season to give it a shot. Ahhhh, this card brings up good memories. Past formats abused this card and I expect the same for this format as well. With the opportunity to grab so many important Supporters back from the discard pile, VS Seeker can frolic in every deck of this format. In need of a Lysandre again to seal the game? VS Seeker’s got your back. Were all of your Ns used in the early game and you need to slow down your opponent? No worries! Tired of playing 2 Shadow Triad or 3 Lysandre in your decks to maximize consistency? The numbers of these Supporters can now be slightly dropped to accommodate for VS Seeker, which will also lead to less dead drawing from Supporter droughts. This card will be heavily used in all my decks and hopefully not just for the nostalgic feelings of past formats. It cannot be stressed how important these tournaments are going to be in qualifying for Worlds. This tournament series has always been one of the most important of the whole season, because City Championships are plentiful and very rewarding on Championship Points. With only 300 CPs needed to qualify for the most prestigious tournament of the year, grabbing a couple of good placements at these mid-level events will definitely pay off in the long run. Just four top 4 placings at Cities will result in being one-third of the way to an invite. That’s incredibly rewarding towards players that show consistent results. Don’t play too many tech cards in preparation of anything. Play a deck you’re comfortable with, not one that a good player is hyping. I know I’m forgetting something… Did I say to play a consistent deck already? We’ll just make that number 5. Remember to have fun at these tournaments, but also remember that they are crucial in gaining an invite to Worlds. Don’t sleep on these tournaments. Test out some decks, figure out what deck runs well for you, and make sure to go into these tournaments with the mindset of gaining Points. You don’t need a gold medal around your neck to make it to the big dance in Boston. With the Spirit Link cards coming out in Phantom Forces, the full utilization of Mega Pokémon-EX can come into full force. Some of their upsides are massive amounts of HP, good damage output, Energy acceleration, and now the added bonus of not having to end your turn by Mega Evolving. Mega Manectric-EX is one of the best cards to come out in a long time, with the only noticeable downside being its Weakness to Fighting Pokémon. Many creative ideas can be made out of Manectric-EX decks as well, especially with Energy acceleration capabilities from Battle Compressor. Mega Gengar-EX is another very interesting card that will probably see play over the next couple of weeks during City Championships. With partners like Trevenant XY, Dragalge FLF, and Robo Substitute, Gengar-EX has a plentiful amount of options to be featured in. When Gengar-EX Mega Evolves, he becomes even more versatile with an attack that can copy any of your opponent’s Pokémon’s attacks. With Dimension Valley for acceleration, Mega Gengar-EX can use an opponent’s strategy faster than they can, along with the added HP of a Mega Evolution. Both cards have huge potential, which means plenty to be thankful for in future tournaments. We finally have something to help slow down an EX assault at the beginning of games. This was a much-needed card to halt the power creep of big Pokémon-EX. Getting turns to set up and play Items against Seismitoad-EX is so important in this format. Item lock is a huge disadvantage, but a turn one Head Ringer can flip the board state to your advantage. This card has helped me to win plenty of games in testing, but it is most effective in decks that have ways of searching out Item cards, such as Korrina and Skyla. Donphan decks are one of the most effective builds to utilize Head Ringer, as Korrina can grab an Item card and a Fighting Pokémon to help slow down an opponent while speeding up their own setup. Any card that can effectively stall Quaking Punch will always be a good card in my book. Hopefully my insight on these topics has been thought provoking and helpful to you all. This current format is definitely going to be fun and an easier invitation to the World Championships will almost always be positive for the game. With Phantom Forces out and in full force for City Championships, there will be plenty of interesting decks and tech cards seen. Now that we’ve gone over everything to be thankful for, it’s time to get into the meat and potatoes of this Thanksgiving article: some deck choices and possible lists for Cities! We’ll start off with some decks based on one of my favorite cards from the new set, Mega Manectric-EX. Doing 110 damage for two Energy cards is an extremely good attack in this format, as it can effectively two-shot any Pokémon that will be seen in tournaments. Now pair this together with a massive 210 HP, which can survive through the biggest attacks in the game. Not only are these features enough to make a card amazing, but also add a free Retreat Cost and the attack providing Energy acceleration in the form of attaching two Energy from the discard pile to your Pokémon. The upsides are amazing for this card. With so many great features, this card must be an excellent choice for City Championships, right? This list is my interpretation of the decks posted by my brother Kyle and Jay Hornung. I agreed with both of them in certain areas, but also disagreed with some of the choices in each list. Upon testing this deck, I realized that Jay was smart in playing a heavy VS Seeker line for a deck with many Battle Compressor. The synergy works very well and 3 VS Seeker is also very helpful in getting back useful Supporters, such as Lysandre, as well. Before even seeing Jay’s list, I already had a Keldeo-EX and Float Stones as my engine of switching. It just makes the most sense to have a switching card that will always be on the field, but that can also attack in some of the harder matchups for this deck, such as Donphan. From Jay’s list, I’m not sure how effective AZ really is, but I assume that it works about the same as the Max Potion that I play in my list. I chose Max Potion over AZ because I felt like it was more important to use other Supporter cards during the mid game, instead of having to waste a Supporter drop to pick up something. Both concepts have the same overall effect in the long run, but it seems that Jay went with overall usage through multiple VS Seekers, while I chose to play a single copy of Max Potion to allow for a more effective Supporter to be played in the same turn. It wasn’t uncommon for me to Lysandre 3-4 times during a game to finish knockouts with Mega Manectric-EX’s attack or to drag a Pokémon up to Black Ballista with Black Kyurem-EX. This couldn’t be done as effectively with needing to play an AZ on that turn. Kyle’s list was another very solid starting point for testing, but also involved me making changes based on my different play style. Adding another VS Seeker proved to be a great move with the Battle Compressor engine, which helped the overall consistency the deck. Kyle and Jay both also played a Jirachi-EX, which I couldn’t bring myself to play. That card seems to be a death wish in my opinion, because most decks can easily KO a Jirachi-EX. This is especially true with the amount of VS Seeker that are being added to each deck, which will increase the overall usage of Lysandre throughout games. Jirachi-EX is not safe for this format and in my opinion shouldn’t be found in any deck. Something in Kyle’s list that is an overall necessity to the deck is Tool Retriever. If an opponent goes first and drops down a Head Ringer onto your Manectric-EX, you are probably going to be in for a long game if you can’t get another Manectric-EX down to start attaching to. Not only that, but Head Ringer can be an overall annoyance from being able to negatively impact any Pokémon that this deck can attack with, aside from Kyurem. Tool Retriever is a smart play for now, unless you can be sure that there are no Head Ringers at the tournament you are attending. I also like that Kyle plays an Energy Switch in the deck for a surprise Black Ballista, but couldn’t find any room to add this card with every spot being so vital. Having a little bit of surprise factor can be just the edge needed to win a match. Overall, I would say that this deck should be a contender at tournaments without a strong Fighting presence, but should be avoided at all costs if Donphan are roaming free. The matchup won’t pan out in the long run, especially with Donphan’s ability to one-hit knockout a Mega Manectric-EX with relative ease. Other than that matchup, Mega Manectric-EX is a viable option with plenty of upside, especially when paired with Black Kyurem-EX. Don’t be shocked to see this deck being played at a City Championship you attend. I found it very ironic that in Jay’s recent article he wrote about the same two decks that I was extensively testing with over the past couple of weeks. He was running lists very similar to my own and seems to be finding success as well. I completely agree with him when he spoke about Manectric-EX having so much potential, as that was my exact thought when I saw the card. 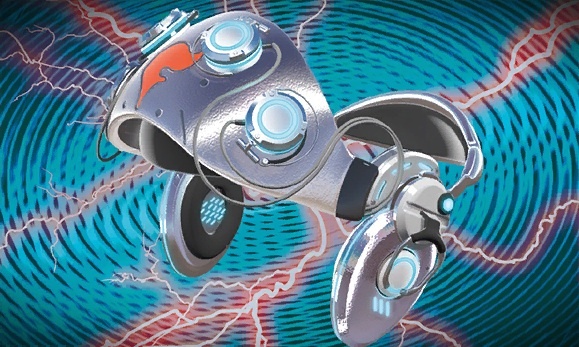 Energy acceleration in the form of a strong attack just can’t be ignored. In this list, I rely heavily on VS Seeker again to search out crucial Supporters. I feel like a heavier focus on getting out Mega Manectric-EX early showed the strongest results during testing. With 2 Battle Compressor, 1 Computer Search, and 4 Ultra Ball, the list has a good amount of ways to get Energy in the discard pile for early Energy acceleration. With so many forms of getting Energy back from the discard pile, I felt it necessary to play Max Potion in this list as well, especially with the added luxury of playing Energy Switch to move energy to a Mega Manectric-EX first. This combination is extremely strong and proves to be deadly without a proper response from an opponent’s deck. I would say that one of my favorite parts about this deck would be the amount of free retreating that happens throughout the game. With free Retreat Cost on Mega Manectric-EX and Darkrai-EX’s Dark Cloak Ability, Pokémon can be moved around and switched out constantly during a match. This can allow for less Prize cards and added pressure to come down from an opponent’s quick start, while also helping to reserve attackers that have Energy on them. 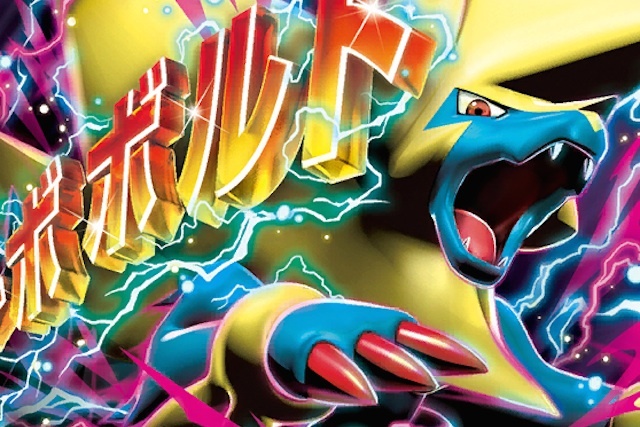 Mega Manectric-EX is moderately strong during the beginning of games, but it is sometimes difficult to pull off a Turbo Bolt while attaching two Energy cards. The best time to use this Mega Evolution is definitely near the middle of the game. Retreating into a Turbo Bolt and attaching two Energy onto an Yveltal-EX is a big problem for opponents, as the damage output of Yveltal is getting very dangerous and damage is also coming down with it. 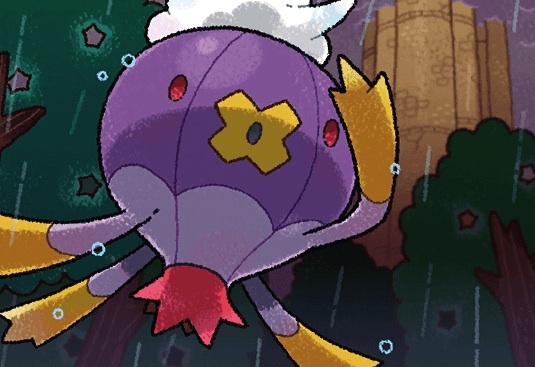 This puts opposing Pokémon-EX into knock-out range from a Y Cyclone, which is one of the strongest attacks in the game. With so many ways of getting Lysandre (2 Lysandre, 3 VS Seeker, 3 Bicycle, 1 Computer Search, etc. ), no damaged Pokémon-EX is safe. Donphan has to be my absolute favorite deck at the moment. 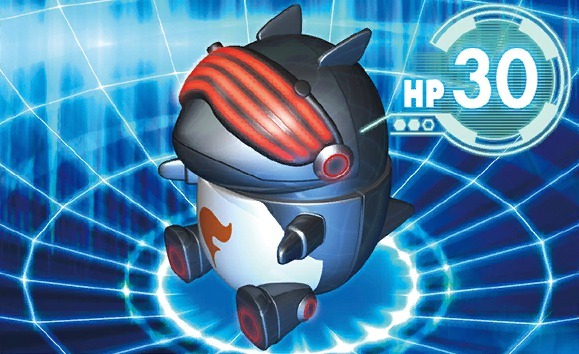 With the addition of Robo Substitute and Lysandre’s Trump Card, this deck can have a multitude of shields which won’t allow an opponent to draw Prize cards. That’s unbelievably strong in this format and proved very effective in the first City Championship that I attended this year. I ended up making top 8, after going undefeated in the Swiss Rounds, and losing to another Donphan list that was prepared for the mirror match. This card was added in to help against Seismitoad-EX variants and helped me to beat one of those very decks in the opening rounds. I opened the game with a Korrina in hand and was able to slow down my opponent’s start through using a Korrina for an Enhanced Hammer the first turn and then using a VS Seeker to Korrina for a Head Ringer on the next turn. With a good amount of Korrina in the deck to help get these useful Items out, there are just so many options for this deck. Probably the best card in the deck. An opponent doesn’t take Prizes for knocking these little guys out, which works very well with Donphan’s Spinning Turn attack. With Lysandre’s Trump Card, I was able to utilize more than 4 Robo Substitutes in just about every one of my games for the day. Without a fair opportunity to attack any Pokémon that allow Prize cards to be taken, this deck can pile up damage without any penalty. I’ve already mentioned the card numerous times, but can’t express just how good it was. The ability to use Computer Search more than one time was insanely good. Not only using an ACE SPEC twice, but also throwing back in entire Donphan lines, Strong Energies, and all Robo Substitutes was extremely good in every matchup. This card will be in every Donphan build that I play in tournaments. This luchador can’t be stopped when it comes to finishing off damaged Pokémon-EX. With many ways to add damage output onto his attack, Hawlucha was able to end plenty of games for me throughout the day. He has proven to be a great one-two punch when combined with Donphan. With the tournament over, I realized what was truly good in my Donphan build, along with what needed to be changed. Donphan is a force to be reckoned with and can’t be touched with his group of robot companions at his side. Be cautious when you see a Phanpy being flipped over, as the game is probably going to take a long time and will involve a large amount of frustration from the robot graveyard piling up with no results to show for it. With all of the Donphan showing up at the tournament, a good play may probably have been something with Enhanced Hammers to slow down these decks. A prime example of a deck with Enhanced Hammers to utilize would be Virizion/Genesect/Drifblim. No matter what happens to the format, a version of Virizion/Genesect will almost always be good. The deck is extremely consistent, has a good strategy and synergy, and can show a wide array of different techs and angles towards approaching any matchup. This list focuses mainly on discarding Special Energy cards in the way, which shouldn’t be hard to accomplish with 3 Enhanced Hammer. Another strange card to see might be the 2 Potion in the deck. They are being played to compensate for the Donphan matchup, which is very popular in this area. While being helpful in that matchup, the Potions also come in handy against opposing Virizion/Genesect decks by messing up the math from a Muscle Banded Virizion-EX. Healing off 30 damage also proved to be substantial in the Yveltal-EX matchup, as Y Cyclone couldn’t finish off some of my Pokémon-EX with the added 30 HP. This deck is also focused on extreme consistency, as can be seen in the 4 Professor Juniper, 4 N, and 4 Skyla. The added luxury of 2 VS Seeker also helps to end any discussions of Supporter droughts, which can often be a problem for Virizion/Genesect builds. With good matchups against Donphan, Yveltal, and many other popular archetypes, V/G/Drifblim could possibly prove to be a top contender in the near future. With Thanksgiving come and gone, I hope all of you were able to see your family and cherish the moments with them. I know that I’m thankful for everyone in this game that I’ve met, along with the great memories and good times to come. Pokémon is definitely shaping up this season to be one of the most exciting formats of the year, which will also bring a brand new structure for the World Championships at the finale of this season. I wish you all success at City Championships, and make sure to remember to not swing too hard for the gold. This seasons going to be a marathon, not an all-out sprint to the finish. Pace yourselves, play consistent, and I’ll hopefully see you all in Boston! Feel free to reach me through messaging and ask me about any questions that you may have. Thanks for reading!